Birth 25 Sep 1761 Bradford, Essex Co., Mass. Father THOMAS WEBSTER, b. 2 Dec 1726, Bradford, Essex Co., Mass. Mother SARAH KIMBALL, b. 15 Jul 1731, Bradford, Essex Co., Mass. Family MARY PAYSON, b. 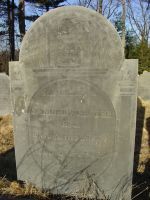 18 Jun 1764, Bradford, Essex Co., Mass. 1. Harriet Webster, b. 9 Oct 1785, Bradford, Essex Co., Mass. 2. CHARLES WEBSTER, b. 9 Jan 1787, Bradford, Essex Co., Mass. [S291] Early Marriages of Bradford, Mass.